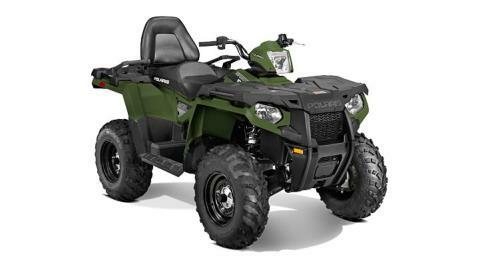 Now with 22% more horsepower (44 hp) and featuring Electronic Fuel Injection (EFI) and dual overhead cams with 4 valves per cylinder, the 570 starts flawlessly and runs smoothly. Still the best automatic 4x4 system out there, the AWD engages all 4 tires when the rear wheels slip and you need more forward traction. Reverts back to 2WD when you don’t. Redesigned rear rack features durable steel construction and Lock & Ride technology to make it easy to carry and secure gear. 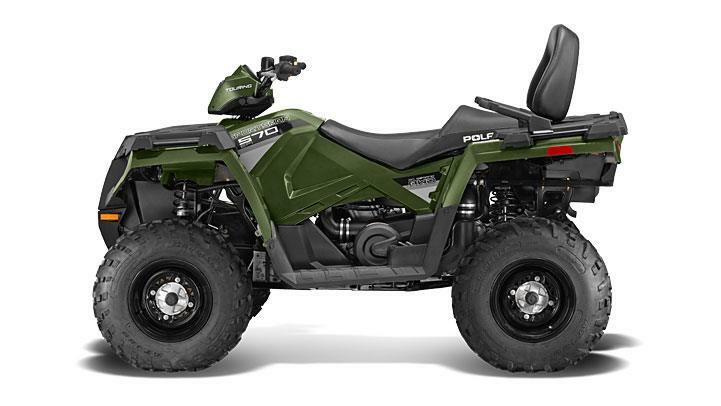 40% more watts for more charging power and the capability to operate more hardest working Polaris accessories. 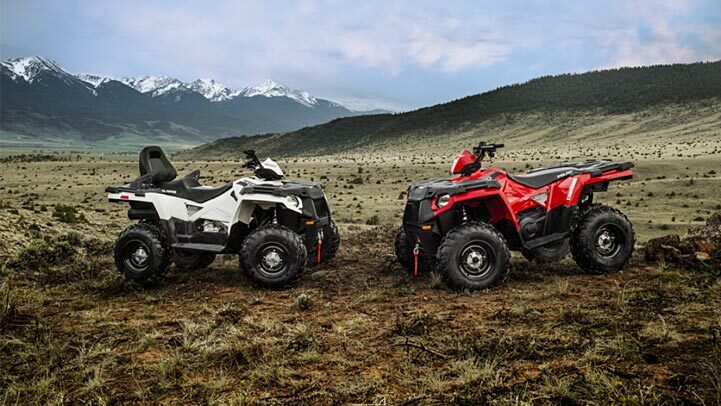 13% more fuel capacity than its predecessor the Sportsman 500 H.O. The most integrated storage of any ATV. The 6.5 gal. capacity lets you stow-away loads of gear and still have access to it, even with items tied to the deck. The front of the seat and side panels have been narrowed at the thigh by 3.25 in. Coupled with wider and longer floor boards, the new layout is more comfortable and makes it easier to mount and dismount the ATV. 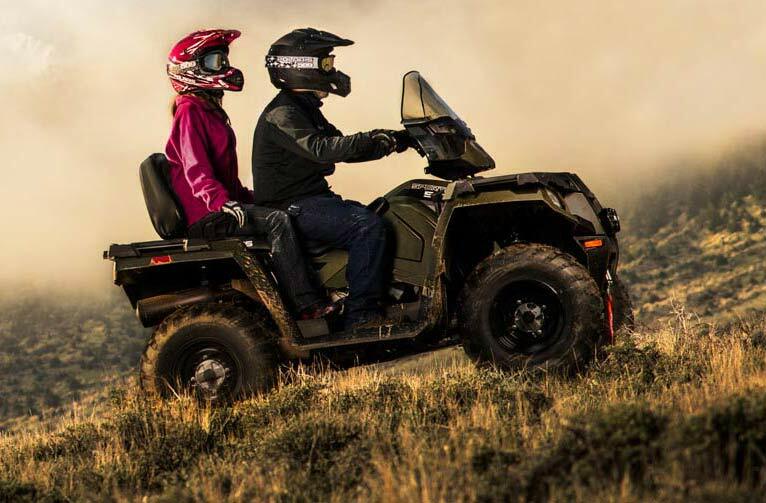 The Sportsman was the world’s first ATV with IRS, a feature that made it as popular as it is today. Its rock-solid design has 9.5 in. of travel to minimize body roll and keep the ride smooth. 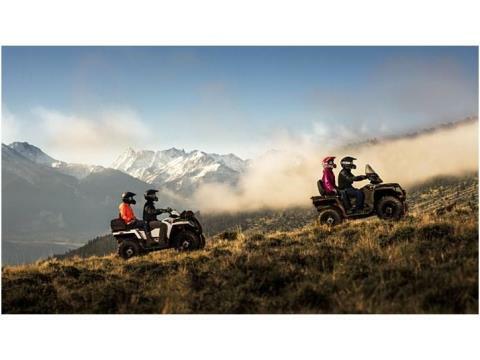 The ultra-comfortable 1-piece seat design and backrest are fully padded and contoured for full support, with a slightly raised position so you can see down the trail.